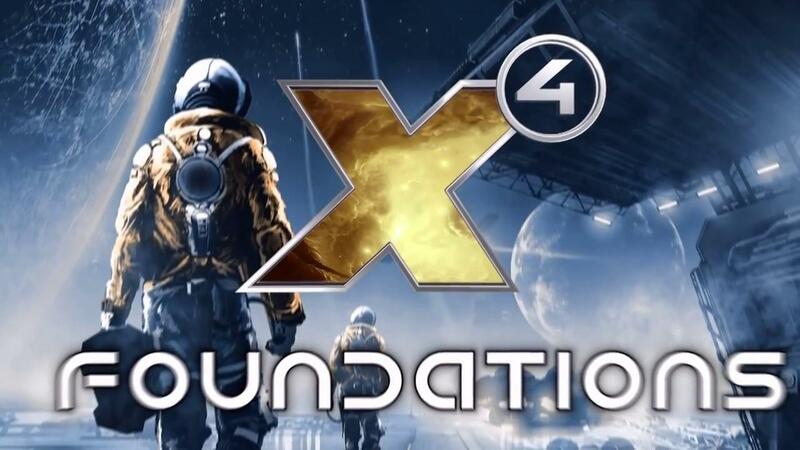 Egosoft have officially announced their latest space sim X4: Foundations is going to launch on November 30th, although the status of the Linux build isn't fully confirmed. When asked about it, they simply told us "The plan is to launch the Linux Beta at release, but we have to see if that will work out.". They also released a longer gameplay trailer at the same time, which is an interesting way to do it I suppose. It's a game I definitely want to try out, as it does sound quite impressive. The ability to simply get out of your ship, walk around and climb aboard another ship and continue exploring sounds fun. Egosoft are claiming it to be the "most dynamic X universe ever", with other races in the game free to build and expand, with a lot of the same options as players which should be interesting. It will offer multiple starting points with different characters, each with their own set of relationships, technology, ships and so on too. The only current store they've confirmed is Steam. If they do manage to get a Linux build out, we will take a look for sure. Fantastic news! This is my most anticipated title this year! Looks really interesting, although a bit frightening — it has so many mechanics to digest. I never got into the X universe, tried X3 but it was pretty complicated and I didn't feel that typical AAA push from one goal to another. I know the game is deep but I just didn't know what to do and why. Hope this one won't forget about newcomers. Look who wants the moon! Credit to Egosoft - they kept working on X3, and it's a fun game now. LOL, that was funny. Hopefully they've managed to make X4 more accessible to more gamers, yes. Hopefully it'll be a great RPG + shooty + buildy + exploration game. Especially since we're not getting Star Citizen. And Star Citizen is a MMO anyway so it can go die. I'll be all over this as soon as it works on Linux. I tried to play X3: Reunion, and it was utterly unplayable due to a rolling bug that set my ship spinning unless I actively held it in place. It was reported to the devs by a number of people, but to the best of my knowledge never fixed. Hopefully they're a little more responsive with this one. Kels I tried to play X3: Reunion, and it was utterly unplayable due to a rolling bug that set my ship spinning unless I actively held it in place. It was reported to the devs by a number of people, but to the best of my knowledge never fixed. Have LOT of hours in X3:r and never had this issue! Okay legit tiny little question. Does one need to plug in a flight stick for those or are they playable with just keyboard and mouse ? I doubt that it will work with regular controller as well so I won't even ask. I'd like to get into one of those but I'm always worried that I'll have to retort to a flight stick in order to fully enjoy them.